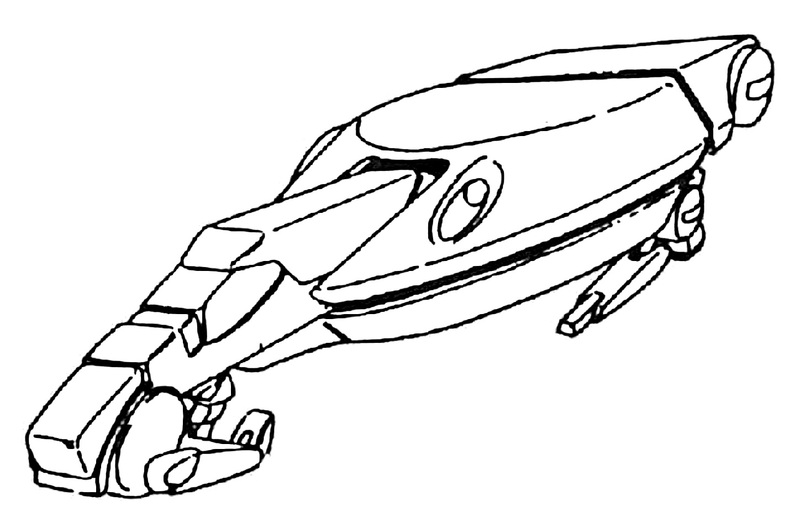 The Roil Quekasm was a dedicated air supremacy aerospace craft similar in design to the Roil Tiluvo Assault Corvette. Though the Roil Quekasm was designed later than the Roil Tiluvo, it never did manage to really replace it in the air to air combat role. This was due to the fact that, while it was in all ways superior in the air to air role, the Roil Tiluvo was still more than a match for all adversaries that the Robotech Masters were facing all the way through to the collapse of the empire. Because of this, and because the Roil Tiluvo was a true multi-role aerospace craft, the Roil Quekasm never saw as wide spread of use as its older brother. 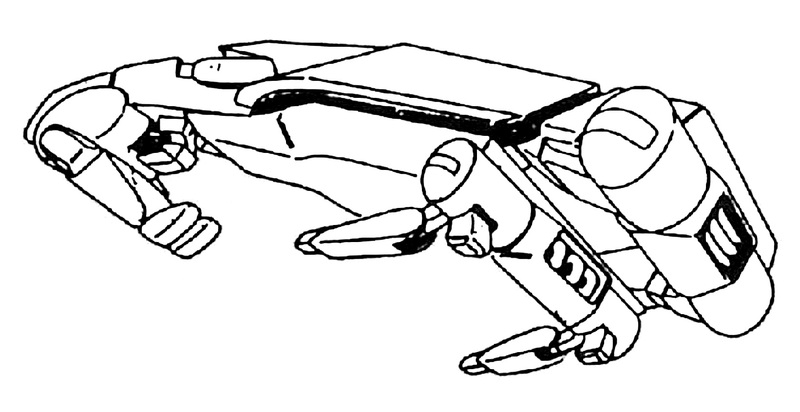 The Roil Quekasm was used in very limited numbers during the Second Robotech War. Most Roil Quekasm were assigned to the border fleets and to planetary garrisons where they saw use as high altitude interceptors. The Roil Quekasm was about half the size and one eighth the weight of the Roil Tivulo. The Quekasm had a one-man crew and could not carry any cargo or troops. The Quekasm’s high thrust to weight ratio, large delta-V and its use of the Quimeliquola special inertia vector control system (the same used on Quimeliquola’s Queadluun-Rau female power armor) made it perhaps the best aerospace supremacy platform ever produced. To this day, it completely outclasses anything designed by humanity. Length: 54 m over all. Wing Span: 15.7 m over all.